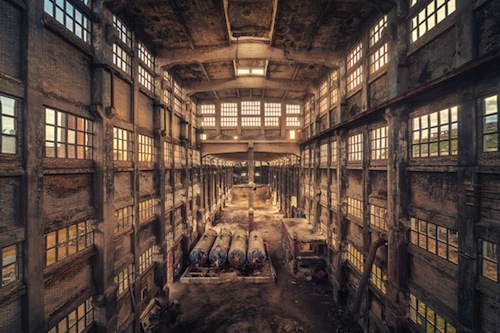 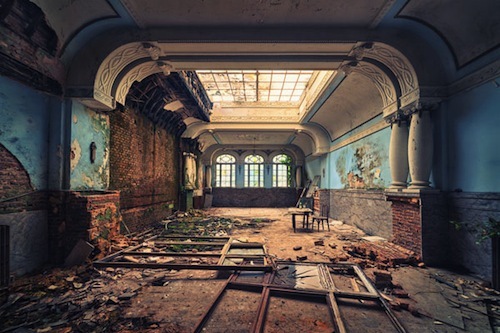 Dresden-based German student and photographer Matthias Haker has produced a collection of stunning shots, entitled 'Decay', that focuses on the crumbling interiors of abandoned buildings. 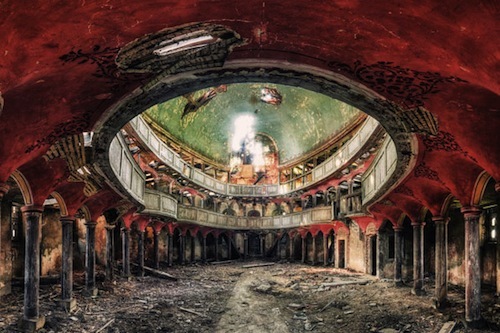 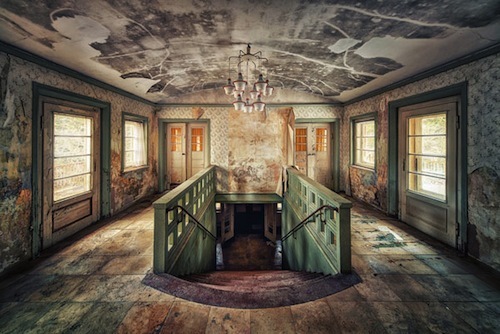 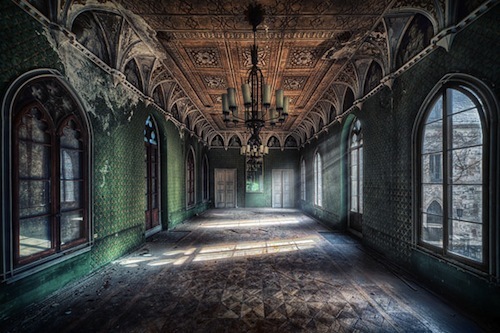 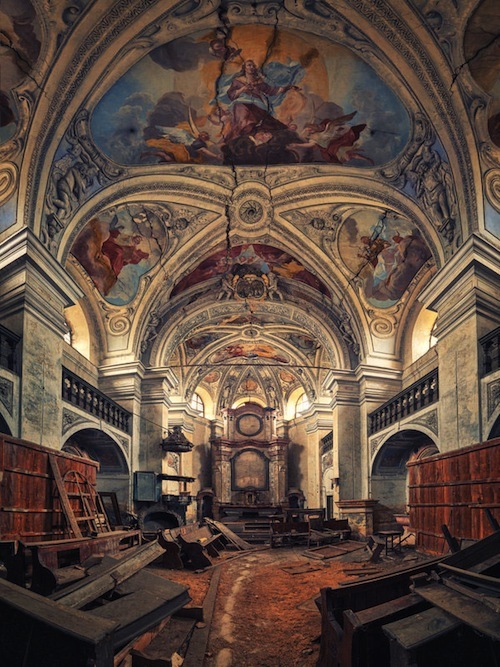 While these dilapidated spaces bring on a sense of melancholy in the viewer, Haker’s pictures have also brought out their haunting beauty—despite the peeling paint and debris-strewn floors, the former grandeur of these buildings remains very evident. 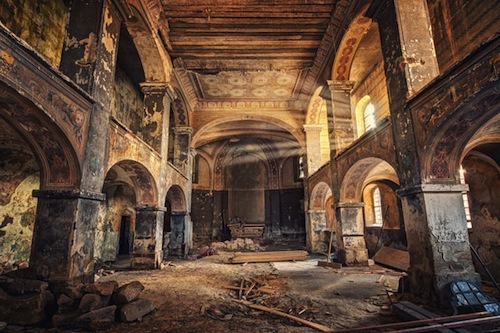 Many of these abandoned sites feature magnificent details like beautifully painted walls, ornate stairways and embellished domed ceilings—it makes one wonder why they were forsaken in the first place. 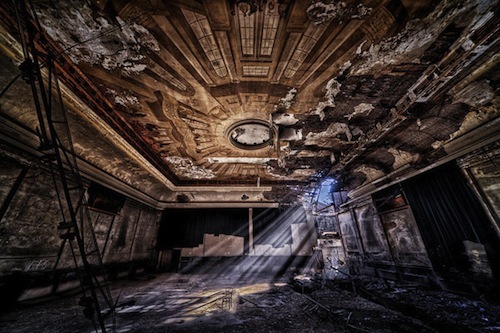 View more amazing images from the photographer’s poignant series on his website.